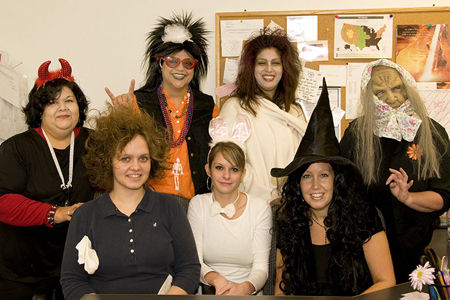 Happy Halloween from the lovely ladies at One Small Child! Pretty Valeria’s mother sends her greetings from Germany! Note: our Candice has been discontinued. Please see our Tess Dress picture above. It is the same style just with a different lace trim. 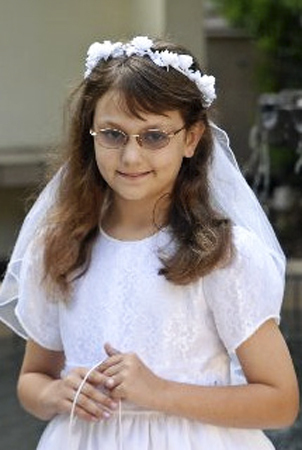 “We recently baptized our daughter, Alli, on October 12, 2008. 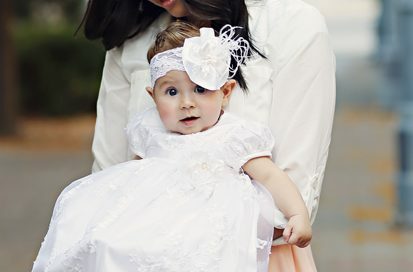 She was wearing the Alexa Rose christening gown from your site. We received so many compliments on the dress. It was incredibly well made and was of great quality. I have attached a photo of Alli in the gown. She is also wearing a freshwater pearl bracelet that was ordered from your site and given to her as a gift. 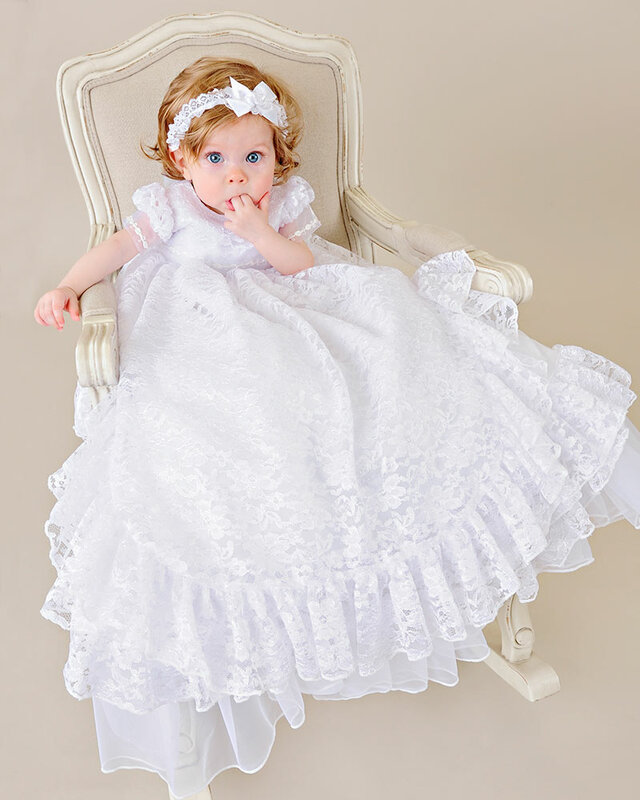 “I can’t thank you enough for all your great service and beautiful christening outfits! Your quality is superb! I was so tired of going to many large retailers and boutiques looking for a nice Christening outfit for our Dylan, 7 months old. I was prepared to spend whatever it cost and still could not find anything beautiful. I found many nice outfits – but none that moved me or seemed worth the money. Out of desperation I started looking online and came across your site. Your prices are so reasonable and the quality is above and beyond anything I’ve seen. 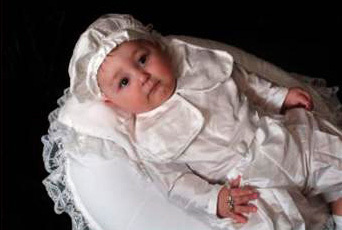 I purchased the outfit, socks, and shoes from you… He was baptized on Sept 28, 2008. 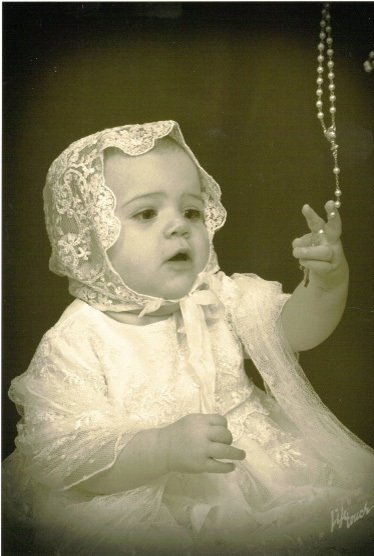 “I purchased the Memory christening gown for my daughter’s baptism back at the beginning of July. The gown took my breath away when it first arrived…it was simply everything I had dreamed of for my daughter! The lace was so very soft, and it looked like something I found in my grandmother’s attic! 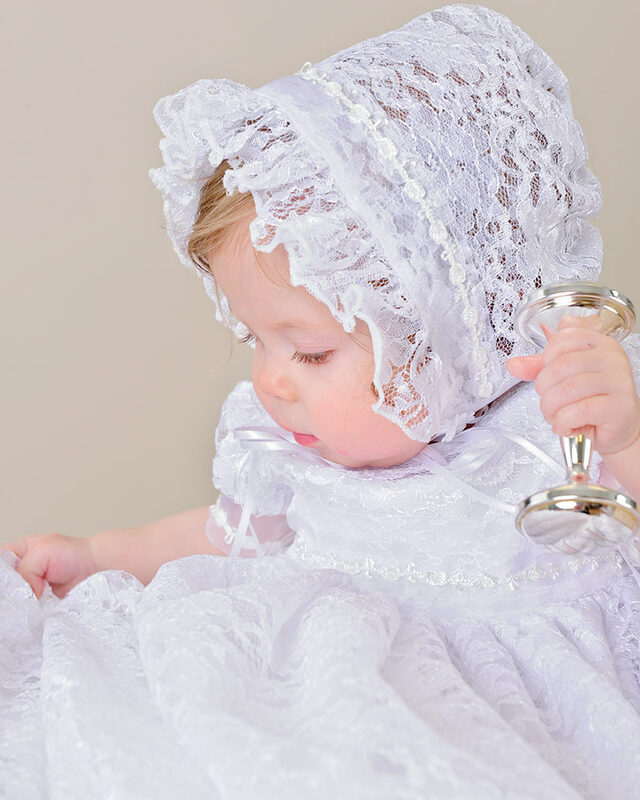 After the baptism, I took my daughter to get her portrait taken in her gown. I just wanted to share the picture with you. The portrait looks like a family portrait from 100 years ago! The gown is magnificent, and the price just couldn’t be beat. We received so many compliments that day, but the main compliment was how many people asked if my daughter was in a 3rd or 4th generation gown! Oh, wait! No! You should not do as I do! You are much more on top of things, I am certain. 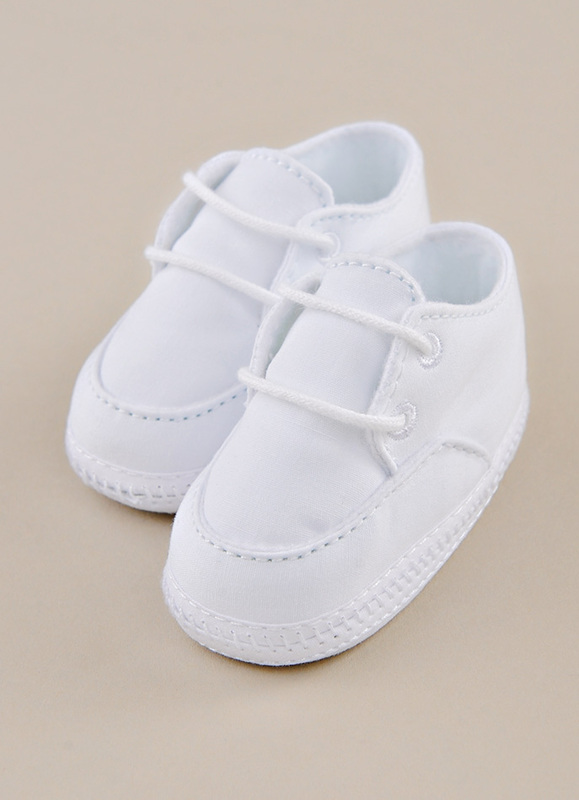 It is for you that we’ve gathered an extensive collection of christening shoes in a broad range of sizes (from newborn to toddlers), styles, and materials. Depending on your sizing needs, you can select shoes made from the same fabric as your christening outfit, or shoes in a shade to match your ivory gown. We offer leather styles, hand-crocheted booties, mary-janes, oxfords, and ballet slippers.